Linda Wilson has lived and worked in this area for over 30 years and has exceptional knowledge and understanding of Ottawa and the surrounding area Real Estate market. She works collaboratively with her clients and uses professional marketing and business acumen to deliver acclaimed results. Linda’s early career was in the financial industry as a bank manager, mortgage manager, investment banker and stock broker. This solid background allows her to guide clients through the financial aspects of buying or selling a home. She is a shrewd and artful negotiator and has earned the respect and appreciation from countless clients. 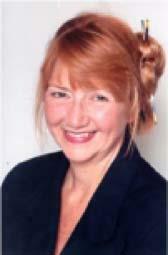 Linda is committed to integrity, high personal ethics and prompt professional service. Clients appreciate her outstanding consultative style, openness, honesty and of course, results. Linda will provide you with the most comprehensive real estate service available, and will take pride in guiding you through successful buying or selling of your home. You will be delighted with Linda’s integrity, honesty, hard work and personal commitment in helping you achieve results. 80% of Linda's success is based on referrals from highly satisfied and supportive clients. Call Linda to experience this first hand. Looking for a Postal Code?